The first Motel One in the Netherlands, located in the capital Amsterdam, is a truly special addition to the Motel One family. 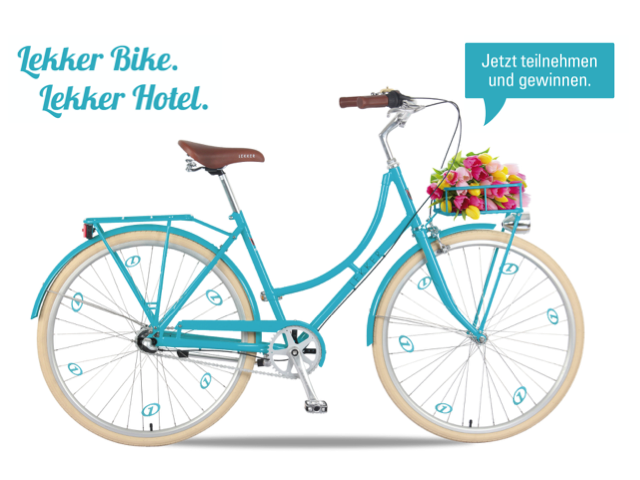 To celebrate we have re-designed our retro, vintage Sportief Series to match the fresh Motel One look and feel with a stylish turquoise bicycle. A very, very limited edition, available to win at their brand new hotel just opened in Amsterdam. But perhaps this color could be part of our 2016 series? What do you think?